The MDB-N series is manufactured by OGURA. It is an electromagnetic spring-applied multi-disc brake, with a maximum torque of 825 lb.ft, and maximum speed of 1500 rpm. The unit's compact design can produce very high torque, that is generated via multiple disks condensing overall clutch size. It also provides fast torque build up, due to the limited internal movement and via multiple disk, which quickly generates brake torque. The MDM-N also ensures quick release time. 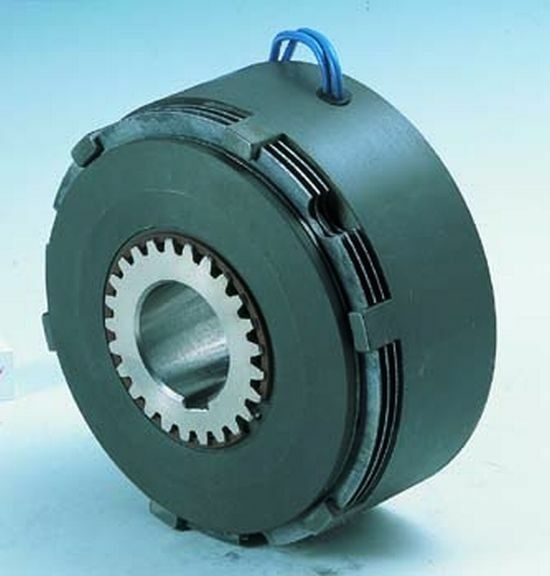 For other requirements, wet type multiple disc electromagnetic clutch brake is also available.